I cannot believe time has flown by this fast. My baby is 4 today! Happy Birthday to my little sweetie. Love that picture. Happy birthday to your little sweetie. She is so cute. That picture tells me "Gorgeous, Focused & Determined"
What a cutie!!!! Happy birthday to her!!! Great shot of her gorgeous grin. Seems like you blink...Hard to believe. Sorry I missed this yesterday! 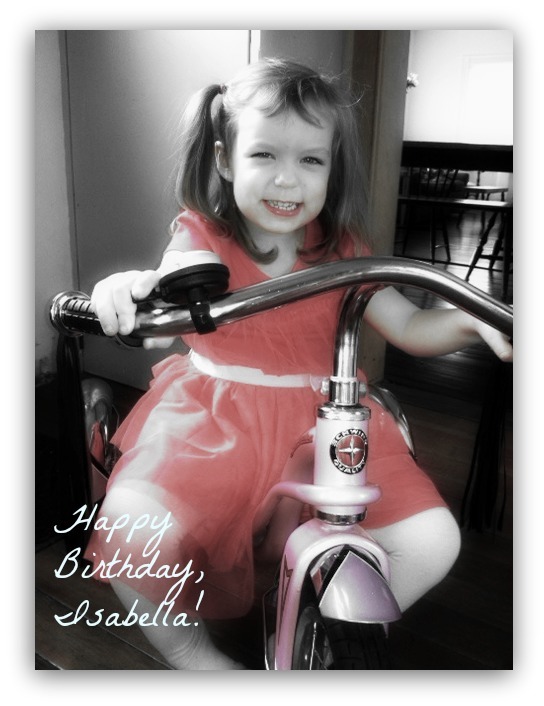 Happy Birthday Izzy! Hope it was a superduper special day! She's so pretty! Happy belated birthday, Izzy! Happy Belated Birthday to the pretty girl! Hope it was a special birthday.